LIGHT - LOVE - PAPER Sonobe Light is paper lamps handcrafted and designed in Denmark by Charlotte Brandt The inspiration has it's roots in the 1960's origami - a traditionel craft now in a both timeless and modern design that reflects newest nordic style and living. A Sonobe Light takes several pieces of paper and every single paperfold in itself tells a little story about passionate craftmanship. In that way each Sonobe Light becomes a unique piece of geometric light and art - at the same time both simple and complex. 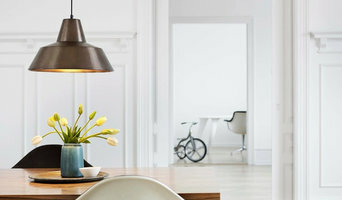 The Lightly Truth is a company selling quality lamps for the modern home. 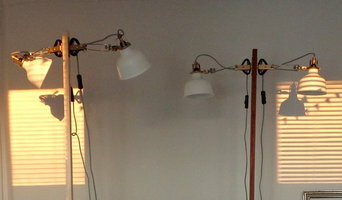 The company started with people who have a passion for lighting and home design. 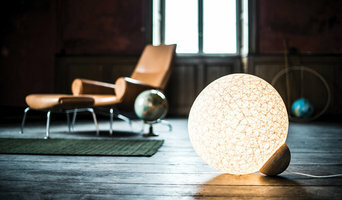 The products and lamps on the website are modern and speciel. The standard is high and quality is our top priority. All the items on the website are selected by the owner. At Made By Hand our design perspective is shaped by our Danish heritage blended with new modern interpretations of design with a straightforward function. The Made By Hand project is our simple manifest for selecting the right design direction, the right designers, and the right design idea, – making sure every new Made By Hand product live up to our design values. We represent a straightforward design approach with an appreciation of all the small details, the finesse and the quality work that goes into a design made by hand. We believe it makes the experience of the design in everyday life so much more fulfilling and lasting. We want to make products that creates a better everyday experience in which human beings with family and friends share their thoughts, dreams and daily life experiences. The Made By Hand Project is all about bringing products to life that makes you feel at home in a comfortable and aesthetic way . To us great design supports human life, and we want to explore a human take on design creating products by hand. Vasanthi is a company that offers the best of different worlds. 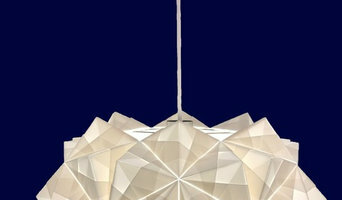 Vasanthi has two lines: Design and Living, which offers design lamps and string lights of high-quality interior. All products are handmade, and therefore none of the products are a 100% identical. Colors by Copenhagen er vores design brand, hvor design og produktudvikling står som nummer et. Nyeste tiltag er Tom Stepp, som vi har bedt designe nogle spændende nye lamper til os. Focus is design, functionality and quality in every detail. Dimmability, easy to change components and very good performance of the light (or the fan) are only 3 examples. We also service with components - should it be necessary - for a long time after a product has been sold. Droobski er et lille kreativt firma, der laver håndfoldede designlamper. Firmaet blev grundlagt marts 2013 af Morten Droob som en legeplads, hvor man kan folde og udfolde sig kreativt. Siden da er der løbet mange folder gennem fingrene. Der bliver foldet og foldet og bandet og krøllet og tænkt og foldet og jublet i det lille rækkehus på Amager, indtil det helt rigtige udtryk kommer frem. Kompleksiteten i hvordan den ene fold griber ind i den anden er fascinerende og det bløde lys, der kommer ud af den færdige lampe giver et smukt resultat. Alle lamper er foldet ved designerens arbejdsbord. Vi importerer de fleste lamper selv fra hele Europa, så hos os finder du lamper, du ikke finder andre steder. El-light har siden 1997 været brandet de fleste kender med de klassiske, funktionelle og holdbare lamper. Med El-light har vi styrket vores position på det skandinaviske marked og vil løbende udvide sortimentet. SHADE is a Danish tech startup that has set out to revolutionize artificial lighting. 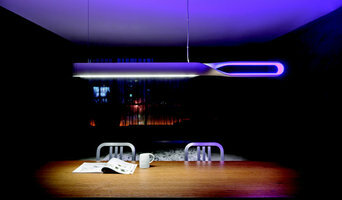 SHADE has designed a flexible, modular lighting system, which includes technological intelligence on a whole new level. A single lamp can be adapted to the exact needs in the everyday life and give potential users more options, control and satisfaction. SHADE is developed by strong engineers and designers. Welcome to the journey of SHADE. Króna was founded in 2016 by Hjörtur Sigurðsson, an icelandic civil engineer based in Denmark. Throughout his career Hjörtur has picked up digital design skills, which for the last years, he has put to use outside the domain of civil engineering resulting in Króna. At Króna we use digital production methods to create lamps and sculptures inspired by mathematical shapes. We are motivated by the contrast that introducing these primitive geometries to our living rooms accomplishes, and the interactions that they evoke with light and people. Each lamp at Króna is made-to-order using modern digital production methods and delivered to you. Króna is short in icelandic for ljósakróna or light pendant. EllisEllis is a architectural lighting importer and distributor firm located in Copenhagen, Denmark and since 2007 we have continually delivered unique and successful lighting products and solutions for projects of all sizes including hotels, resorts, retail, restaurants, museums, nightclubs, offices, and private residences in Scandinavia and foreign countries. We have sales personal in Denmark, Sweden and Norway who locally works closely with leading architects, lighting designers, contractors and retail dealers. We believe that great lighting can have a profound positive affect, not only on the look of a space’s architecture, but also on the people within that space – their state of mind, their well being, and even their productivity. EllisEllis started from the vision and passion of introducing new innovative lighting brands and products in the Nordic countries focusing on contemporary modern design with diversity and high quality as a priority. Through our good variety of indoor, outdoor and experimental lighting applications, architects and contractors can easily find a personal solution that gives the project a functional and timeless design. Our continued success strives from the fact that we stay with our vision and values always personal relations to our clients and interest in every project to share a common vision for a successful solution to the needs of the client.